Today, Mrs. Kader has accompanied the Minister Abdulsattar Majeed with his delegation to the Ministry of Agriculture, Food and Forestry. The talks between the Undersecretary Giuseppe Castiglione, and the Agriculture Minister of Kurdistan Regional Government, Abdulsattar Majeed focused on the fruitful cooperation existing between their respective countries. Majeed thanked the Italian Government for the valuable work that continues to play, especially on the humanitarian side, for the stabilization of the area, severely threatened by ISIS, and for the support to the peshmerga forces and the entire Kurdish people. The areas of collaboration were: storage and packaging of food products, the development of agribusinesses and the supply of agricultural machinery. 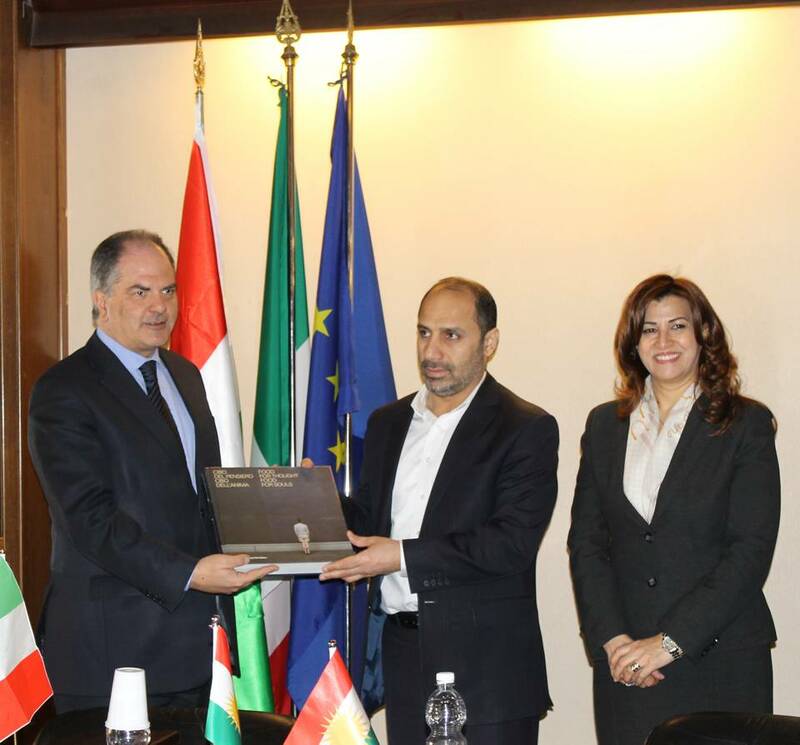 "In addition to the good cooperation relationship, there is a strong cultural bond that links the two countries - said Castiglione - the humanitarian support provided by the Italian Government in this period of crisis is very important and it is our intention to promote forms of collaboration with the Kurdistan Region for the development of the economy in order to create jobs in agric-food sector. It would be appropriate to assess the possibility of creating supporting projects in science and technology, involving our technical and research institutions, which can make available know-how and agricultural machinery, in order to encourage Italians investments in the Kurdistan Region ".